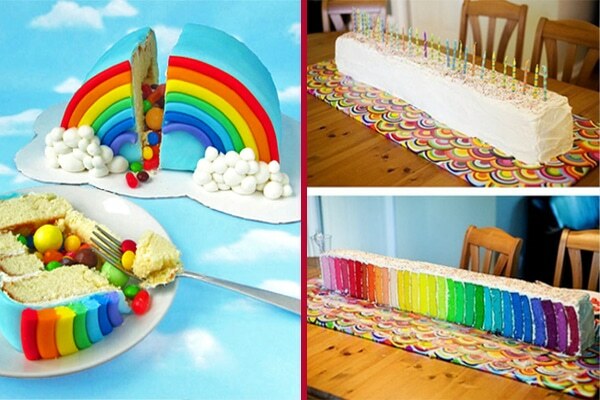 If you are after a truly memorable theme for your Brisbane kid’s next birthday party then nothing shouts happiness and fun more than one with a rainbow. There is something about rainbows that make people stop what they are doing and smile. They arrive with the sun and bring a sprinkle of colour to what was previously a grey sky. Beautiful and breathtaking. 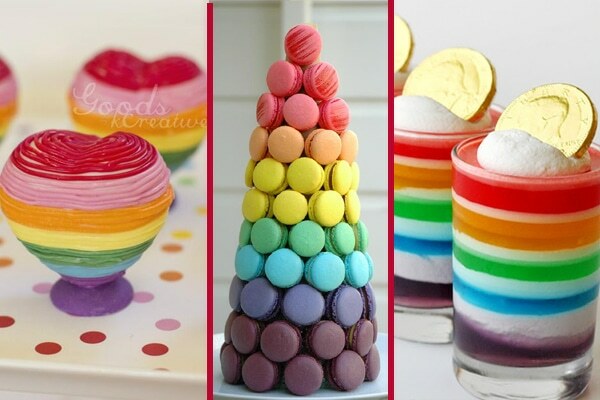 There are literally thousands of wonderful ways to theme your party with a rainbow effect of colours but below are some of the best ones we have seen. Enjoy! 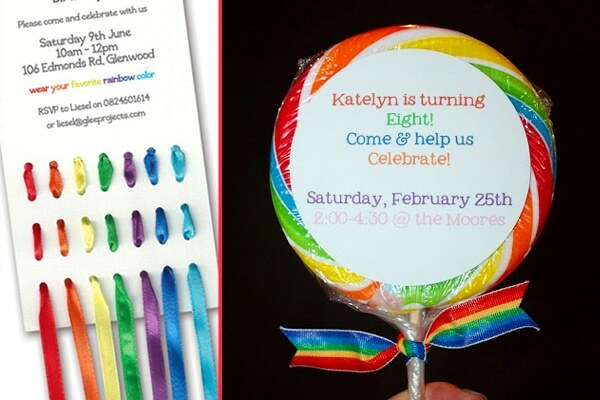 We love both of these ideas for a cool rainbow party invite because they are quick, cheap, easy enough to do yourself and look fantastic. 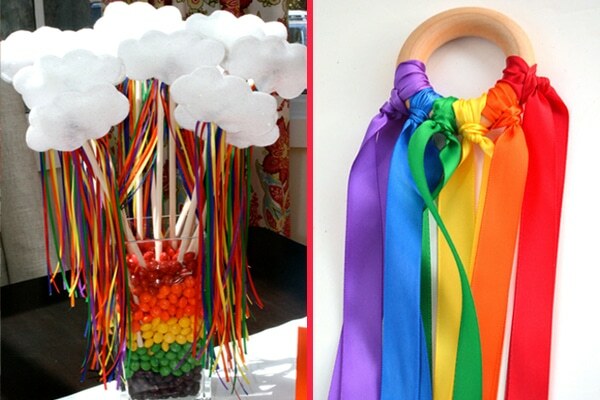 Information on the ribbon rainbow can be found on this Glee Projects site (love the idea of getting guests to wear their favourite rainbow colour) and this fun lollipop idea seen at Antsi-Pants will be so easy and no doubt super popular!! 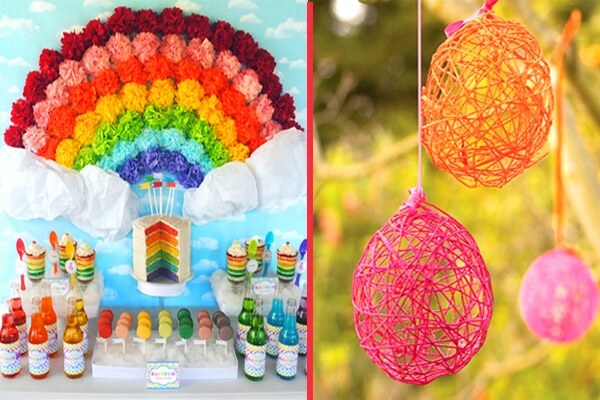 The best way to decorate for a rainbow party theme is with colour, colour, COLOUR! 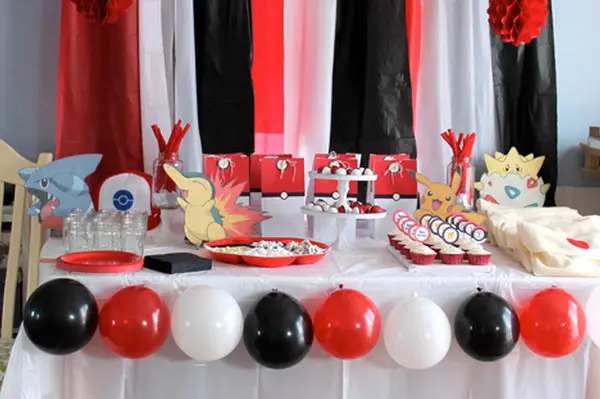 Inside this can be showcased in different coloured tables, food, and decorations. Two gorgeous options are this fantastic pom pom wall display we found at Gwynn Wasson Designs and you can get instructions to these delicately stunning yarn eggs here at Spoonful. 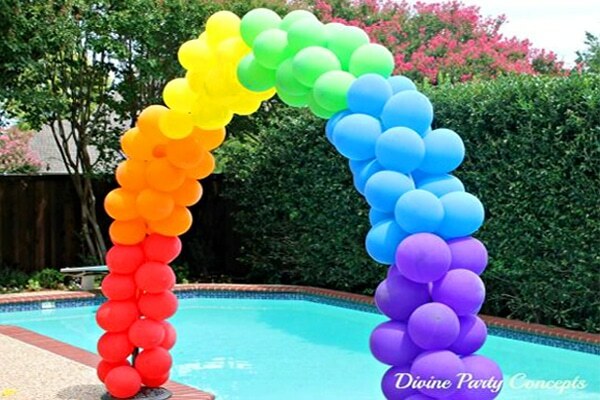 If your party is outside then this incredible balloon archway would look pretty impressive. There is actually a great tutorial on the Devine Party Concepts site you can follow. 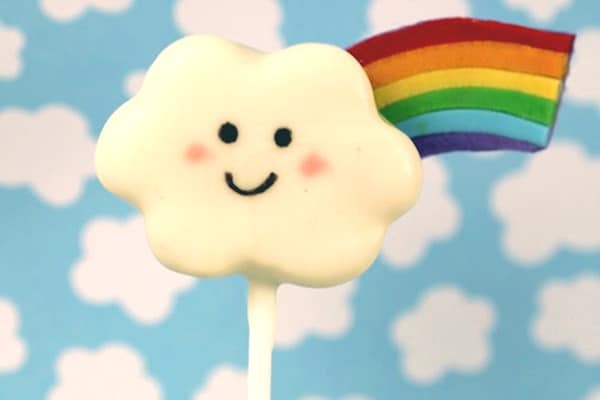 When it comes to food there are an array of amazing options but we can’t go past these adorable cloud and rainbow party cake pops from Bubble and Sweet. Loving both of these ideas for the food table. 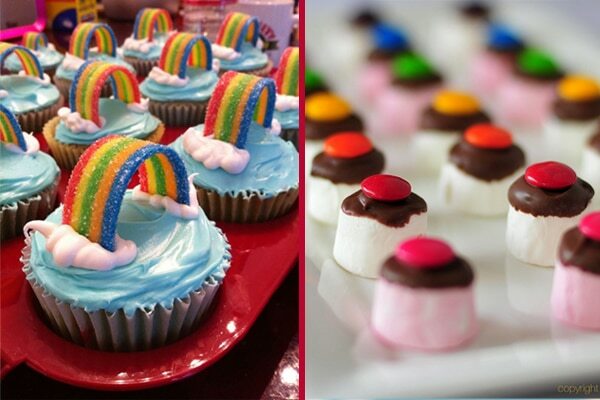 Rainbow cupcakes from Bits and Pieces and adorable marshmellow nibbles! You can get marshmallows now in a few colours but we are loving the ones below we found on Flickr. 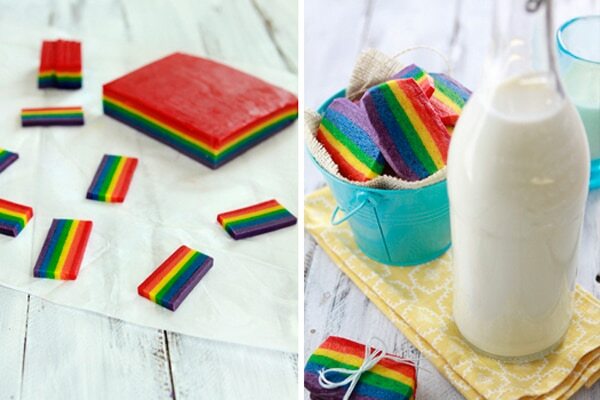 How awesome is this rainbow slice found on Good Life Eats!!? If you are really game you can have a go at making one of these amazing options. These stunning heart pops found at KCreative are sure to impress as is a colourful macaroon tower like the one featured on Bonbini. But every kid will go nuts for these individual rainbow jelly cups we saw at Glorious Treats! 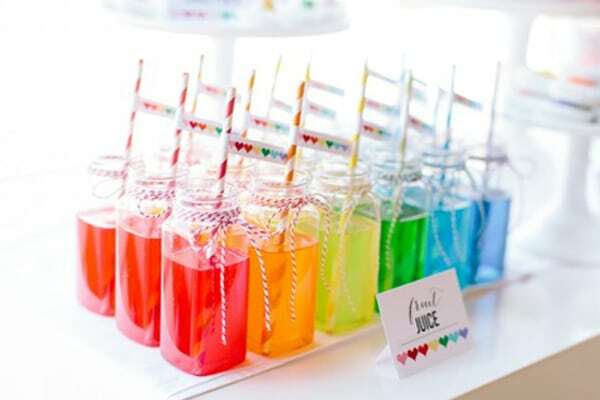 For a quick and colourful drink option just set up about 6 different bottles filled with different coloured juices! Love this example that we found on The Tomkat Studio. 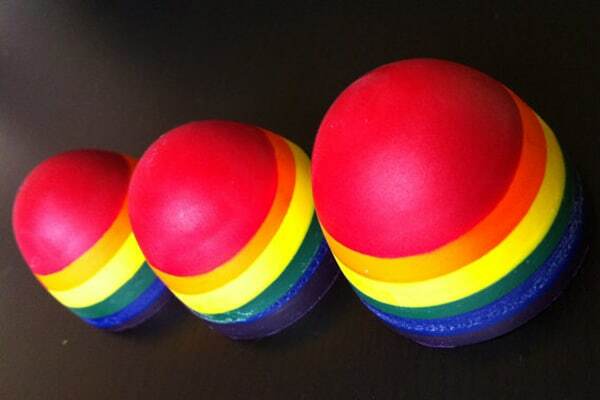 We think these would be hugely popular with the kids and are a quick item to make up for the day. Cloud wands as seen on Pier to Peer and these simple yet beautiful rainbow kites seen on Bright Life Toys that you could make yourself. 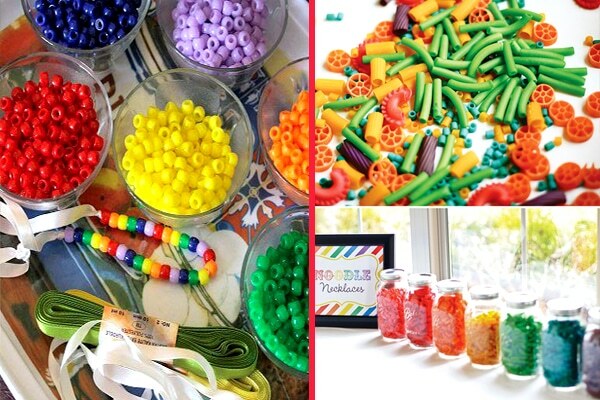 Set up a table with colourful beads and also dye some pasta and macaroni prior to the party. Guests can then make themselves a colourful necklace or bracelet as seen on the Spoonful and Hostess With The Mostess blogs below. 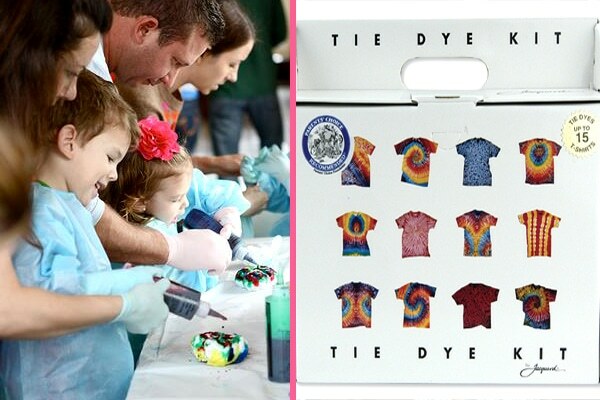 We found this great idea for tie-dying shirts on the Hostess With The Mostess blog. 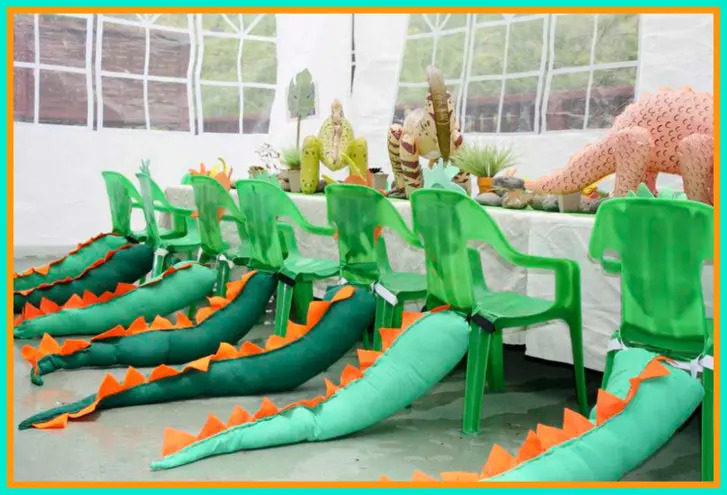 Kids will love creating these as keepsakes to take home and you can purchase the kits (that make up to 15) from Amazon. Of course, it wouldn’t be a party without some cake and how can you really go past a multi-layered, multi-coloured cake? Here are two pretty impressive options. 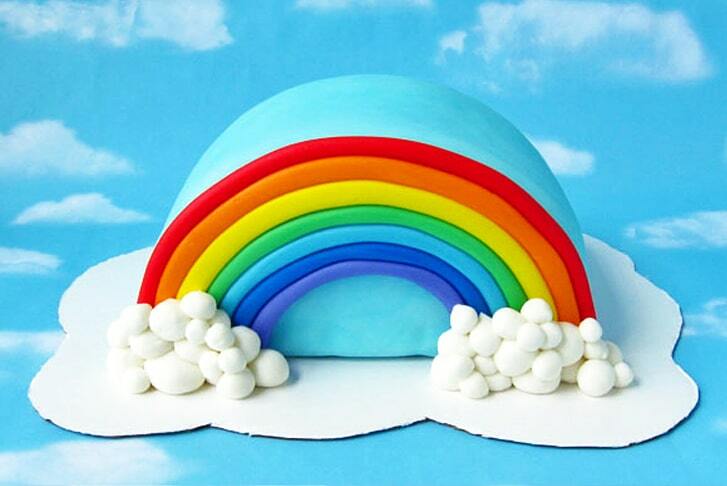 A rainbow cake pinata from Tarjetas Imprimibles (also shown in our feature image at the beginning of this post) and this crazy, excessive, impressive rainbow cake from Gag Donkey. 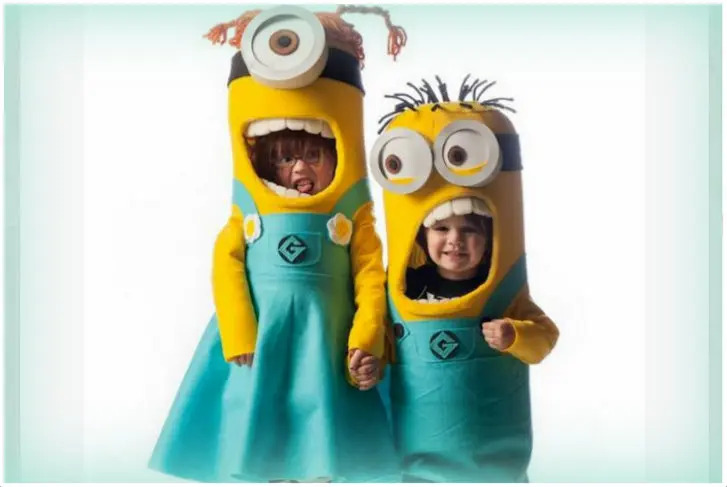 And finally, something pretty special to send home with the kids? How about this awesome rainbow crayon from What’s Your Crayon. Add a small colour-in book and this is the perfect favour for them to take home! And on that note, looking through all these amazing colours and rainbow brightness – I’m off to convince my almost-five-year-old that THIS should be the theme for her next party!!!! What’s not to love? 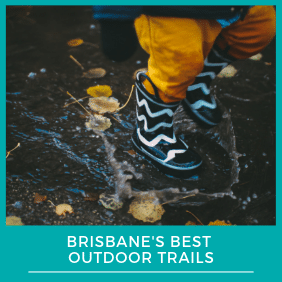 For more great party ideas for your Brisbane Kids, check out our 16 Ideas for the Ultimate Frozen Party or, for a Pirates and Princesses Party, be sure to check out our Incredible Pirate Party Ideas and 16 Ideas for a Perfect Princess Party.